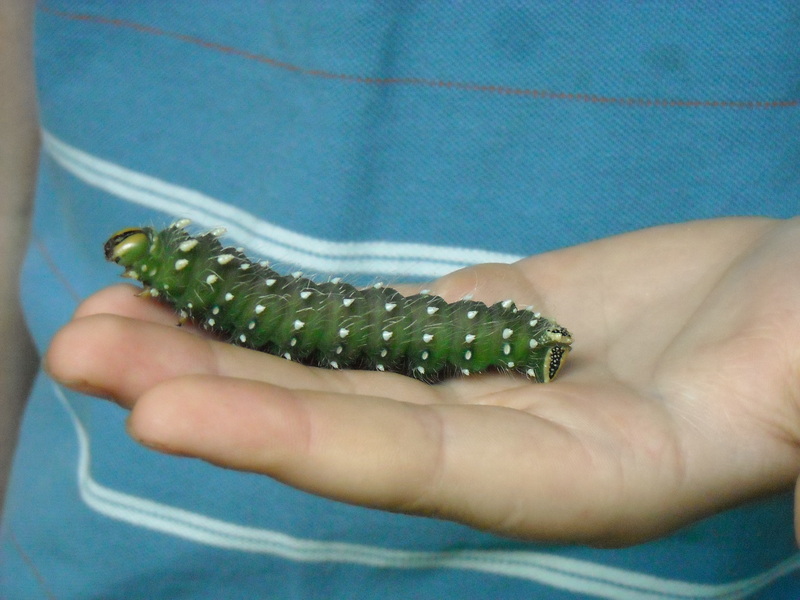 Mortimer has come for a visit, thanks to critique buddy and poet extraordinaire, B.J. Lee, tagging me from A Blue Window. I haven’t blogged much since school started, so I’m grateful for the nudge–er, nibble–from Mortimer. Liana: I’ll be honest. I can’t remember. When I was a teenager, I loved writing free verse poems for young adults and adults, and somewhere along the line, I began experimenting with rhyme. I was a former English teacher with a strong music background, so meter and rhyme came easily to me, though I still find it a challenge to get every poem just right. As an adult, I began learning more about writing for children and started working on prose picture books. Somewhere along the line, my fun with rhyme met my urge to write for children, and like chocolate and peanut butter, the perfect merge was formed. But now I am totally hooked. How about you. Go back to your roots. What got you started eating carrots? Mortimer: Very funny. What project are you working on right now? Mortimer: Who is your dream mentor in the world of children’s poetry? Liana: It’s tough to choose, but I’d have to say Jane Yolen. Or Douglas Florian. Or Joyce Sidman. Or Leslie Bulion. Or Eileen Spinelli. DON’T MAKE ME CHOOSE!!! Okay, let me say this, though. I found an amazing group of dedicated children’s poets online, and with them as my critique partners, I believe I have found my dream mentors. They’re super-talented, and totally dedicated to their craft. And they’re tough, too…always pushing me to bring my poetry to a new level. 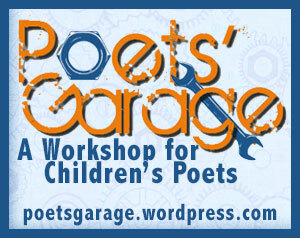 A big shout-out to my critique group at The Poets’ Garage! Thanks, Mortimer, for stopping by at Commas Have Wings. Now, admittedly, I have been a little lazy today. I haven’t tagged anyone yet for the next blog hop. Check back soon for the next taggee!!! 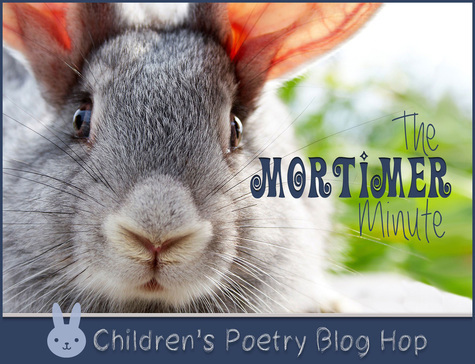 (Watch out…Mortimer has his eye on you!) And while you’re at it, be sure to check out all the amazing poetry and poets at our Poetry Friday round-up. 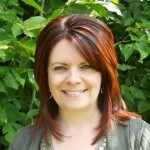 Today’s Poetry Friday round-up is hosted by Irene Latham at Live Your Poem. Nicely disgusting, eh? 🙂 I am will you on not being able to choose… the good news is that they can ALL be our mentors! So much work in print. Good luck with your projects…rooting for you all the way! Thank you, Irene! And thanks for hosting today. 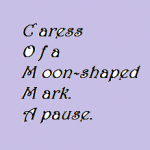 I am still so new to the blogging world, but I LOVE Poetry Fridays. What a wonderfully enthusiastic and supportive community of children’s poets! Great to hear a little more about you, my fellow chocolate and peanut butter writer, and your works in progress! I foresee Mortimer droppings in a future Liana Mahoney collection. Hi Liana! I’m glad Mortimer hopped over to your blog. I forgot about your musical connection ! Yes, that is so true – I find being musical helps immensely with meter and may be one of the reasons I’m so drawn to writing rhyme for the most part! Very nice nod to The Poet’s Garage!! Thanks, B.J! Thanks, too, for the tag, and for all of your support at the Garage! Hi Liana, I like hearing about your projects, and know quite a few students who love “nicely disgusting! I hope you can share a poem or two sometime. Very fun to hear about! Enjoyed your visit with Mortimer. It sounds like you have some delightfully disgusting WsIP! Nice to see Mortimer again! I enjoyed reading your interview! Is there a higher compliment than “nicely disgusting?” I think not. Glad that Mortimer hopped his furry self to your blog, Liana! I agree, Buffy! It’s a great compliment. Thanks for stopping by. I like your blog title and its look–I’m sorry I haven’t stopped by before but I didn’t realize you were here, somehow! It’s fun reading all the Mortimer nibbles at people’s poetry experiences.